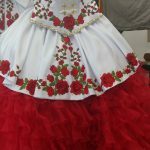 We are able to clean your wedding or formal dress and restore it to original condition. The reception can be leave a variety of stains, including food, wine, makeup, dirt and mud. We can ensure that the beading and decorations are protected. 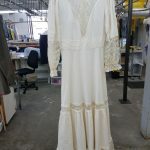 If you wish, we can place the dress in a box to keep it in its restored condition.